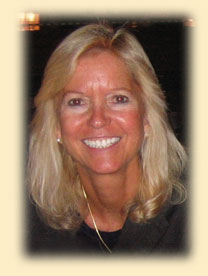 Welcome to Life Enrichment Coaching! Equine assisted learning and coaching (EALC) is the discipline of using horses as a means to help individuals of all ages promote emotional growth, learning, and self-enrichment. 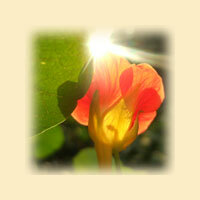 It is a wonderful resource and alternative method for making life-long changes for a happier and more fulfilling life. In partnership with the horse, equine coaches facilitate activities for participants that help develop skills in which the participant may be challenged or want to strengthen. Activities may include anything from grooming, leading, groundwork and horsemanship, customized activities with the horse, and riding the horse. Activities may also include education about horse behavior and caring for a horse. By learning how horses learn, react, and follow instructions from the participant, he or she gains a better understanding of his or her own emotions, behaviors, and body language. Sessions and activities are customized for each client. We offer ongoing sessions and/or specific programs. Horses are very responsive animals with awareness and sensitivity to their surroundings and people. The horse brings his own personality into a relationship, along with his own limitations and abilities. A person is accepted on that person's level of trust, confidence, awareness, and interpersonal skills. Horses can build a person's self-confidence and self-esteem as the relationship between horse and human deepens. Horses give us immediate and honest feedback about ourselves by reading our verbal and non-verbal communication. They reflect back to us our feelings of anxiety, sadness, happiness, trust and a variety of other feelings. Whether working on the ground with a horse, grooming him, or riding through a series of exercises and/or activities, the horse is constantly reading our emotions. There are many ways to relate to a horse. By grooming or giving him a massage, the sense of touch is used. The way you talk to a horse can reveal how you relate to people verbally. Leading the horse from the ground or in the saddle can reveal your sense of power or helplessness you feel in your world. Additional activities, customized for each session, are created to help participants reach goals and develop personal growth and learning. Horses can be a valuable partner in emotional healing. Horses offer encouragement, hope, and unconditional love. They can have profound effects on helping people recovering from trauma such as: domestic violence, child abuse, grief and loss, seuxual abuse, and divorce. Horses can help victims of abuse and trauma work through feelings of fear, anxiety, depression, and low self worth. Troubled teens and children with ADHD and/or behavior issues can benefit tremendously from working with horses. The process of caring for a horse, learning horsemanship and riding skills can help kids and teens develop respect and patience, social skills, and overall self confidence. Whether a person is having trouble with relationships, school, or life in general, all ages of clients often feel something with horses that they have never experienced before - love and acceptance. Most people learn lessons in respect, trust and hope that can be applied to everyday life and relationships. Horses, being large and powerful, create an environment for a person to overcome fear and develop confidence. Accomplishing a task involving a horse provides a person with tools that he or she can take into the "real world" when challenged with other difficult situations in life. 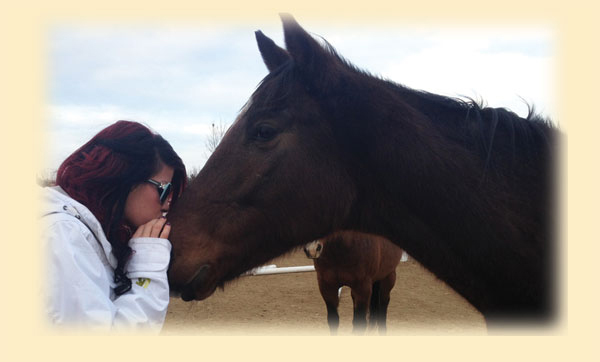 Enhances one's core values: Horses provide unconditional love and acceptance of us. They don't judge, they don't care what we've done or what has been done to us. They just want us to be ourselves, without trying to be something we aren't, or hiding our true emotions. By giving horses our true, honest, authentic selves, they give us their unconditional love and acceptance. This can have a tremendous effect on enhancing a person's self-love, self-respect, self-worth, and self-acceptance. Horses also have an incredible ability to foster a person's self-confidence and self-esteem. By communicating with such large animals and having them respond to us, this can invite feelings of self-confidence, self-esteem and empowerment. Something many people seldom experience. Additional benefits include developing and building leadership; enhancing nonverbal and verbal communication, and self-awareness of our emotions, thoughts and feelings. Riders not only get exercise from riding, but from doing exercises on the horse as instructed from the coach for flexibility, balance, coordination, and concentration. Equine Assisted Coaching can help you feel good about yourself, improve your home and work life, and alter your relationships for the better. Discover how coaching can help you and/or your child move through life easier, more happily, and with a lot less stress! I look forward to working with you and helping you develop your own unique strategies to address your personal challenges, and obtain effective results for greater life enjoyment. Call me today for a free 30-minute consultation. No obligation. No cost. Just talking and answering your questions. Call me at 720-985-7535; or email me at karengraylifecoach@gmail.com. I look forward to hearing from you! Please call now to schedule your FREE 30-minute consultation! No obligation. No cost. Just talking and answering your questions.